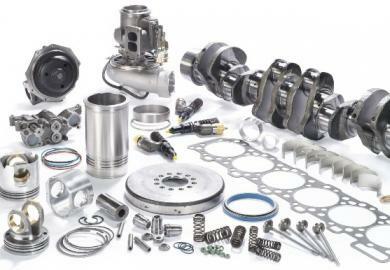 Diesel parts suppliers occupy a critical part of the supply chain, helping to link manufacturers to the end consumers. They play a critical role of stocking from the major brands in large volumes and selling the same to consumers in smaller quantities, and offering several other services to the consumers in house. There are thousands of suppliers around, but believe me as I say that not every supplier is not the right one for you and this depends heavily on what you are aiming to do. Here are some of the things you should check for if you fancy getting ng it right every time. Stocking major brands? No one disagrees that you won’t miss your favourite brand at major diesel pats supplier outlets, but at least you should be able to find most of the major and reputable brands here. With most of such brands on offer and certifications available from manufacturers to do the same, you can be sure to find your deal, most probably. Just ensure that they are offering them, servicing them and show a good understanding on them as well. After service, why not? There is no point at all having to acquire your diesel part at one supplier and going all over town to find someone to fix it. After service makes a good deal for your part, and having it fixed and serviced where you bought it reduces the stress of having to look for a person to do that. Further, if anything goes wrong with the fitting and service process at the store then you will have less of worry, everything can be fixed! A network or a single shop? That warranty is a good deal, but how far will you have to travel to have it looked at? I would suggest you deal with diesel parts suppliers who have a network of shops around e country in your locality. That essentially means that next time the deal breaks down you do t have to struggle looking for the shop, just pop in at the next nearest service centre affiliated with them and you are done.